Unlike their American counterparts, European cities are known for their many transportation options. Copenhagen and Stockholm fit this pattern, and we tested it all during our recent trip to Scandinavian. With our family’s interest in preservation and urban planning, we headed into these cities with exploration in mind. Andrew, after just six weeks in the country, knew Copenhagen like the back of his hand. So we had an expert guide for our first week. 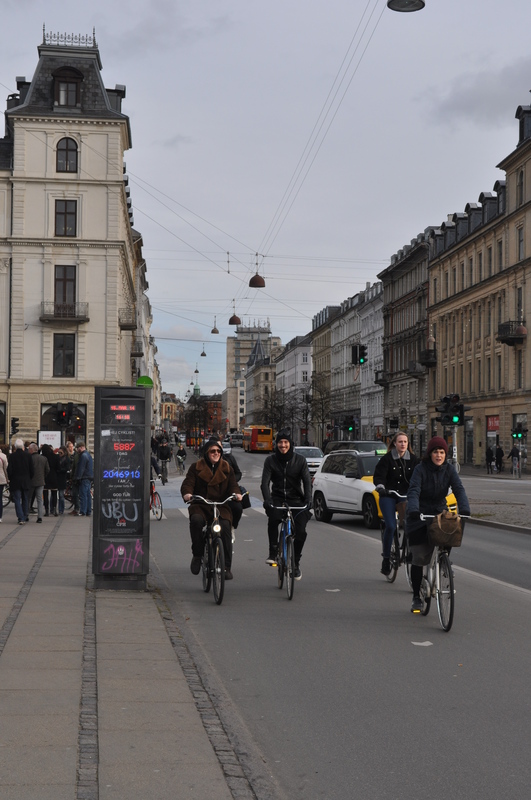 First, Copenhagen knows how to make bicycles part of a real transportation network. One-third of the city bikes to work, and with dedicated signals and lanes with curbs, they make it very easy for everyone. The picture at the top of the post is a cycle counter that clocks thousands of daily bike trips across a busy bridge in the center of the city. Copenhagen residents also “dress for the destination, not for the trip” – meaning that they wear regular clothes instead of spandex when jumping on their bikes. One of the great websites we found while in the city is Copenhagencyclechic.com, which posts pictures of stylish city residents on their bicycles. Andrew and Candice took a tour on bikes one afternoon and had a ball seeing the city at the pace of a two-wheeler. Second, we tried every type of train imaginable over the course of our ten days overseas and enjoyed them all. The U.S. is really missing out. High speed to Stockholm. Regular rail to Roskilde. 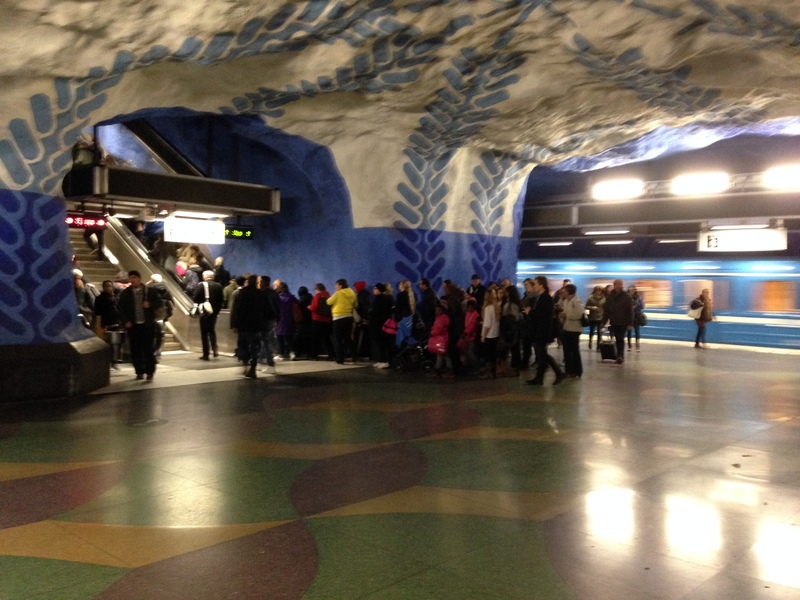 Subways in both cities. 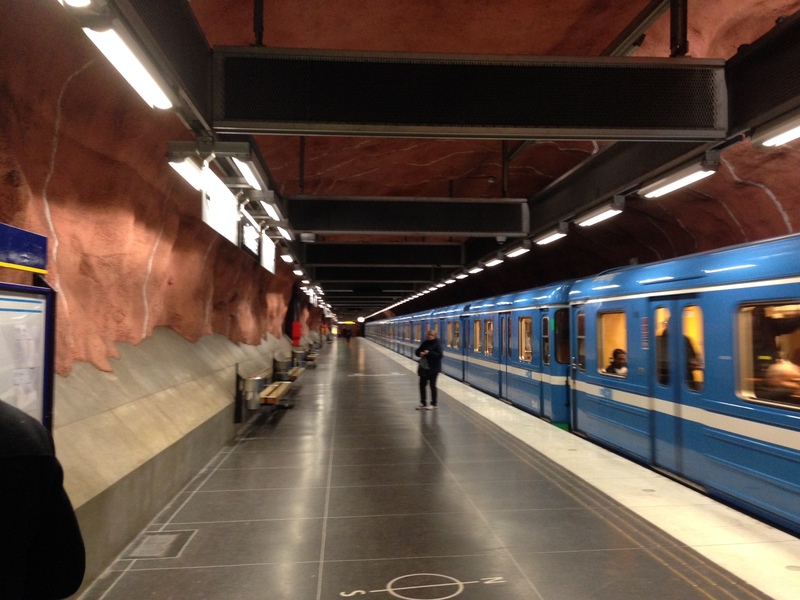 Light rail to get to the Vasa Museum in Stockholm. And the great thing about our experience? All the trains, buses, and other public modes of transportation are easily connected and accessible by the same ticket. 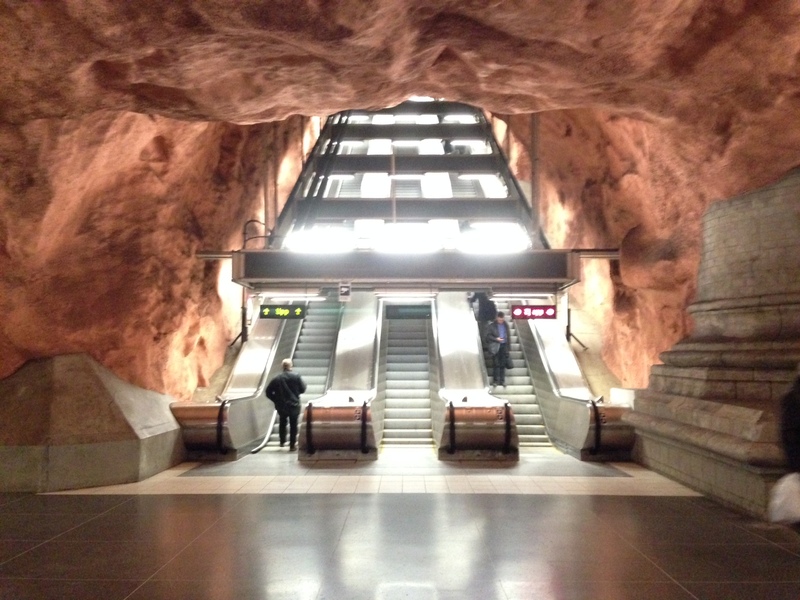 Third, Stockholm has the coolest subway stations I’ve ever seen. Cut out of the bedrock, these tunnels are painted to turn them into wonderful pieces of art. Take a look below to see for yourself. One final thing we found out on this trip…once we stepped out of our taxi at Dulles airport, we didn’t have to step into another automobile until we arrived home. Now that’s the sustainable way to travel!